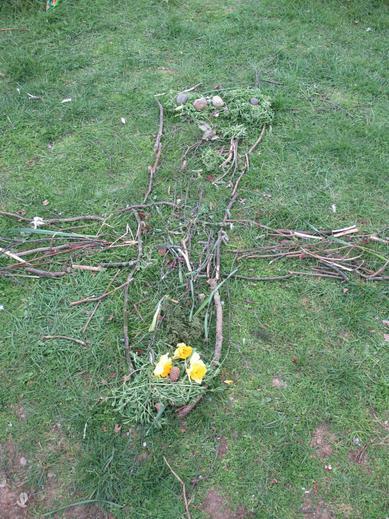 sacrifice Jesus made for everyone. 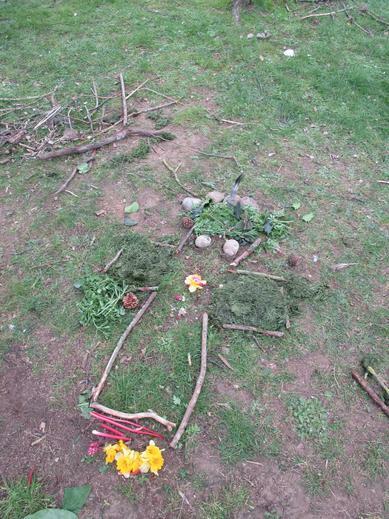 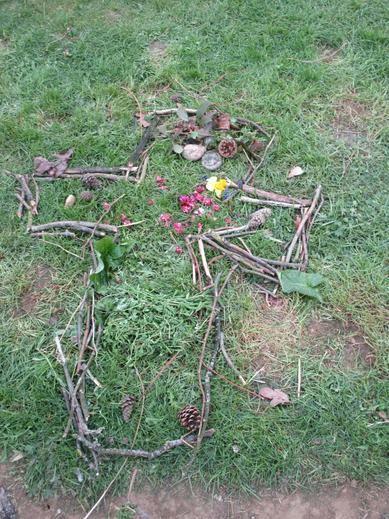 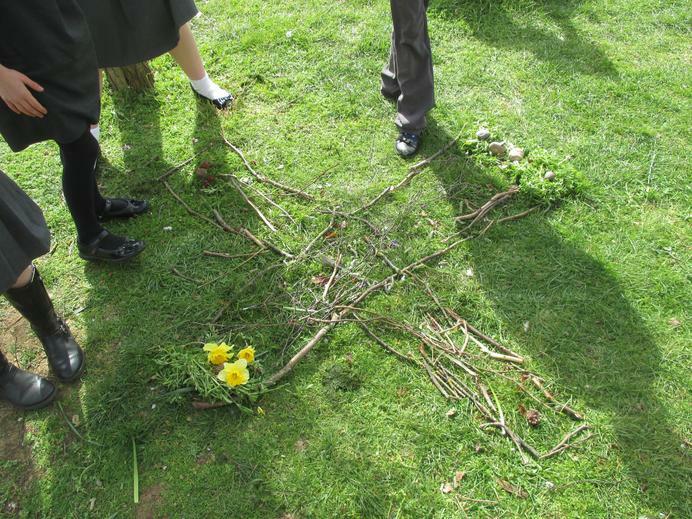 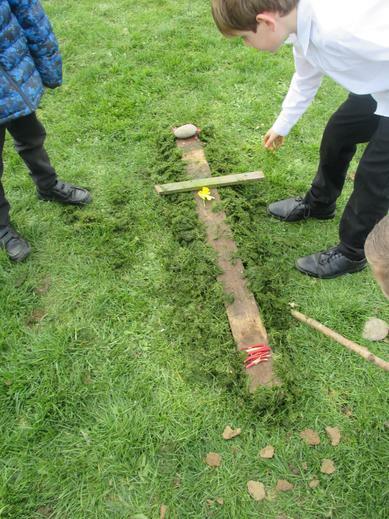 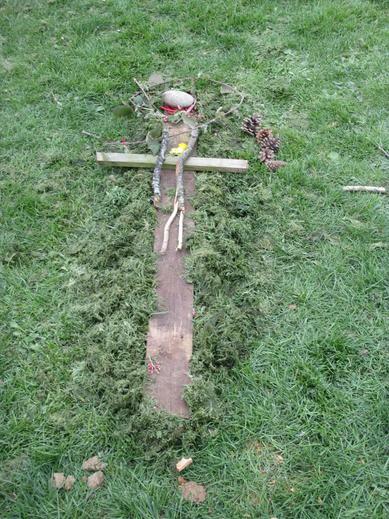 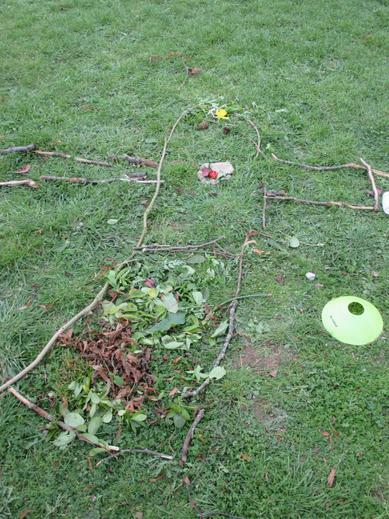 Year 3 and 4 then spent the afternoon gathering natural materials outside to make an exhibition of cross designs on the school field. 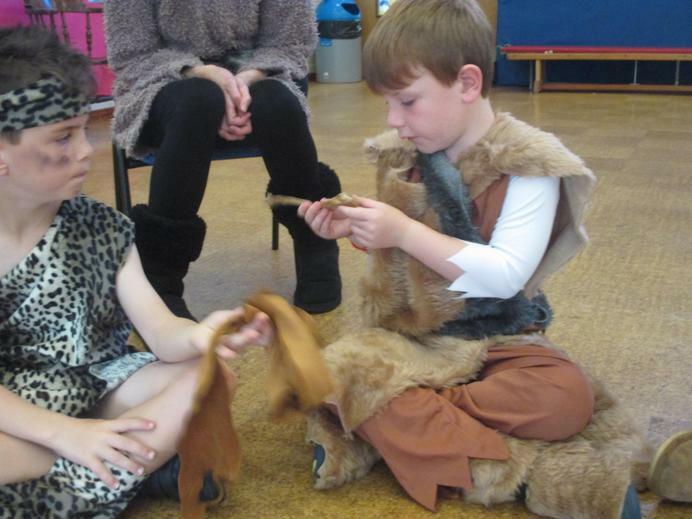 We carefully chose the materials, as each one represented part of the Easter story. 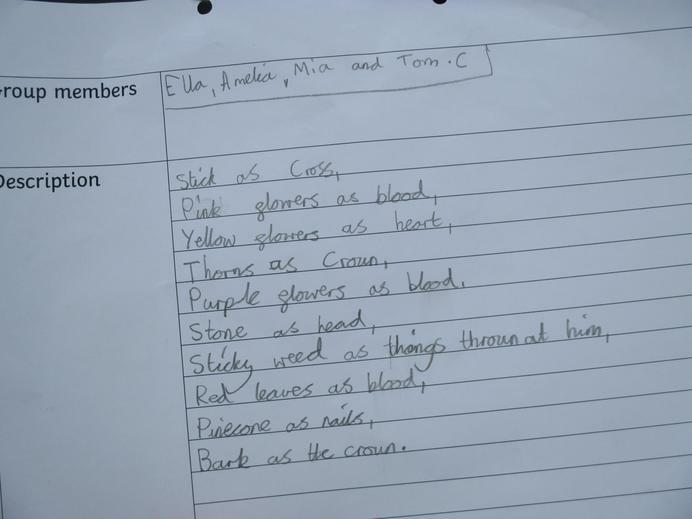 For example, red leaves represented blood, or a thorny stick represented the crown of thorns which Jesus was made to wear. 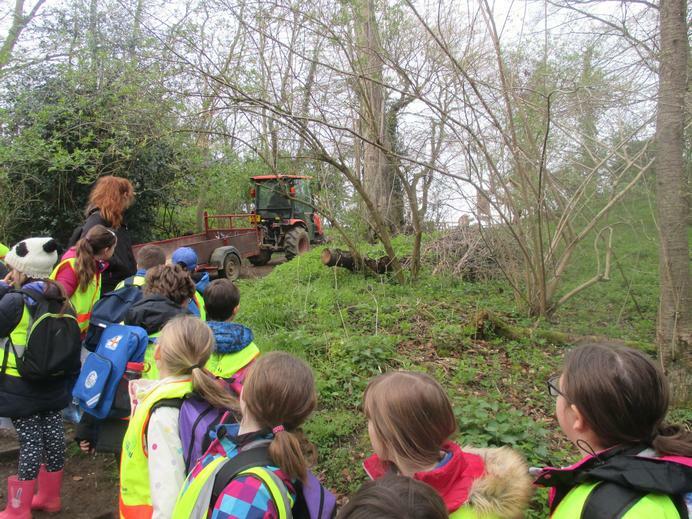 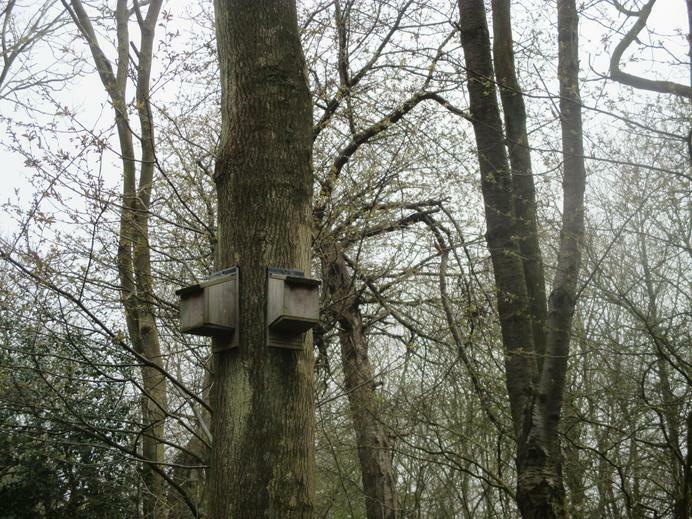 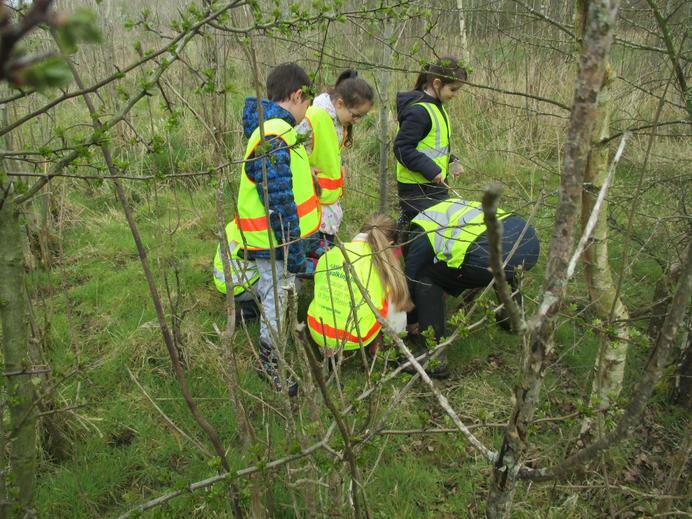 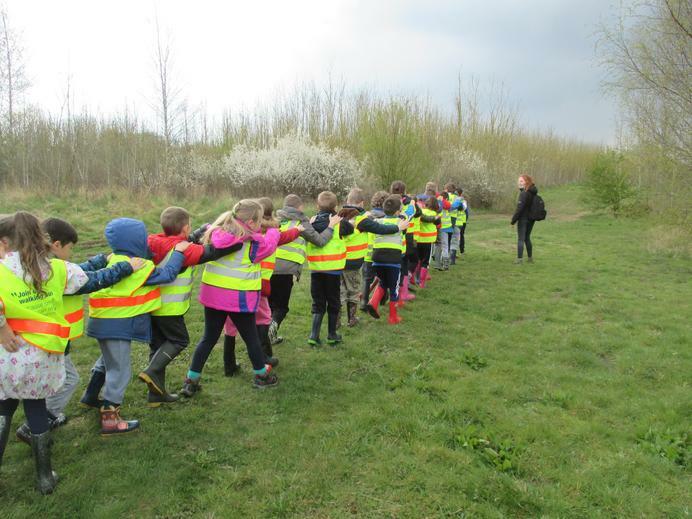 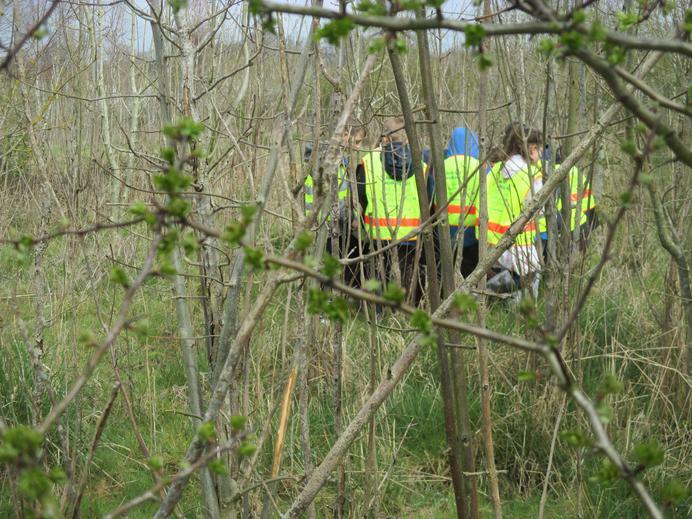 On Wednesday, Year 3 donned their wellington boots and waterproof coats and headed over to Arger Fen. 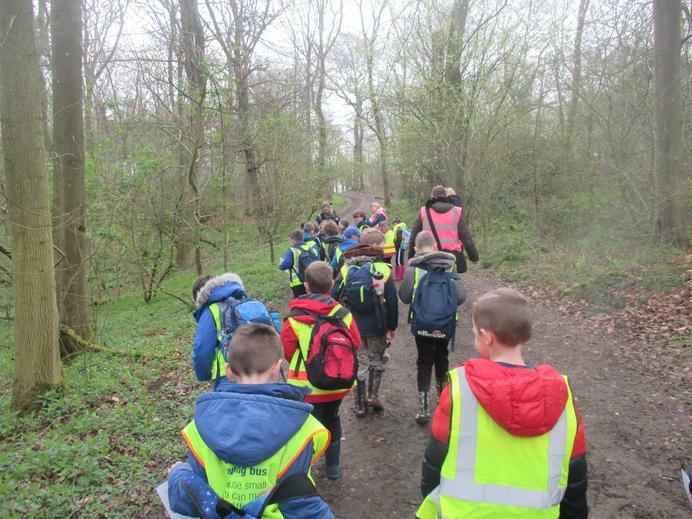 We had a fantastic day exploring in nature, and even avoided the hail, thanks to a handily timed lunch break! 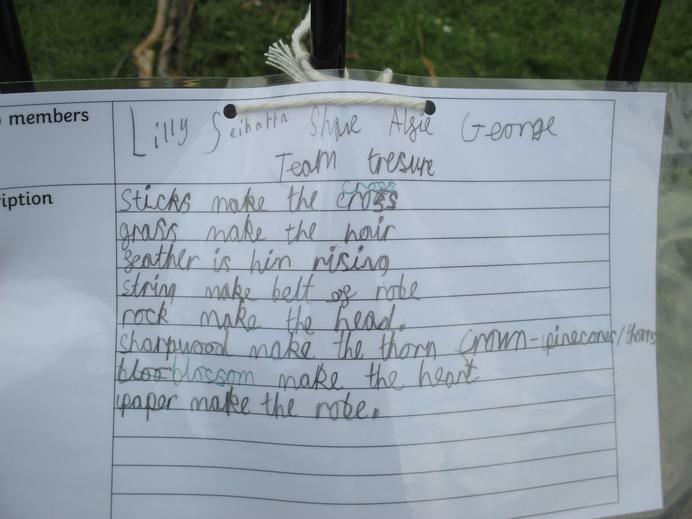 We spent the morning walking and finding different plants which we marked off on our sheet. 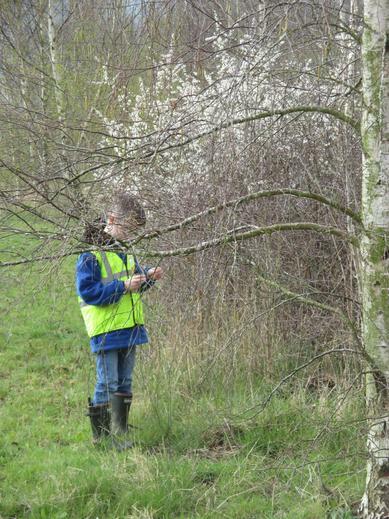 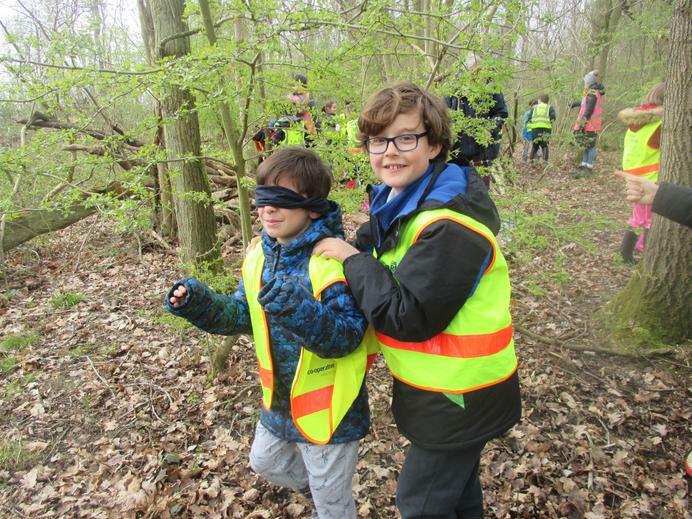 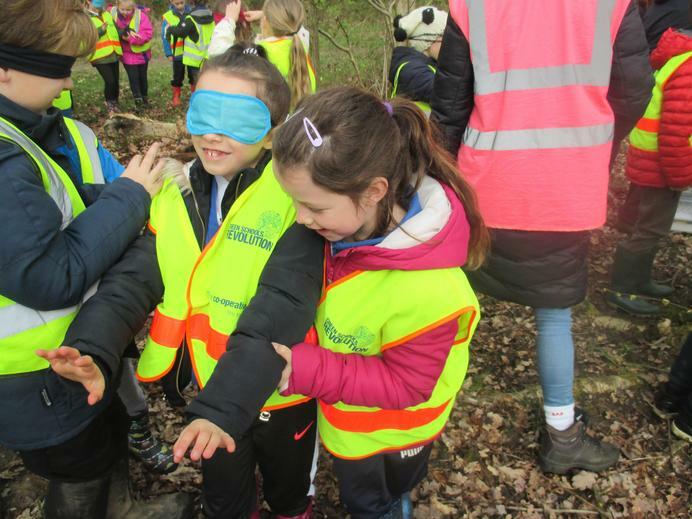 Then we 'hugged a tree' to get to know the trees in the vicinity, before exploring them further by taking bark rubbings, examining the leaves and buds, and also working out the age of the tree, by measuring its girth and dividing that number by 2.5. 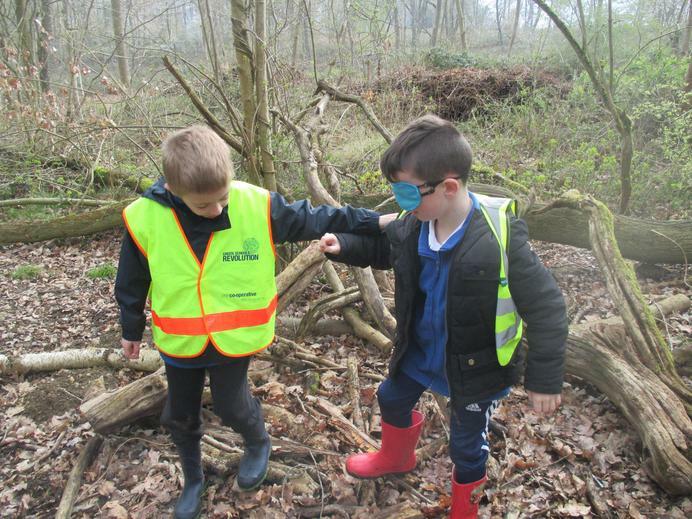 After this we went on a minibeast hunt and used magnifying pots to explore the local wildlife. 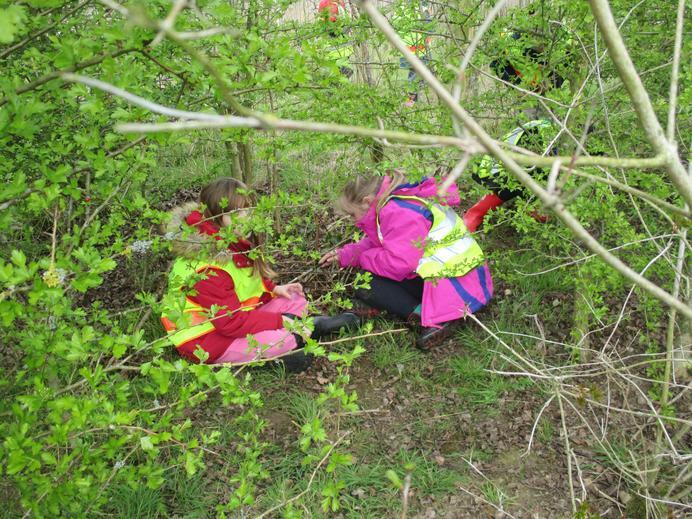 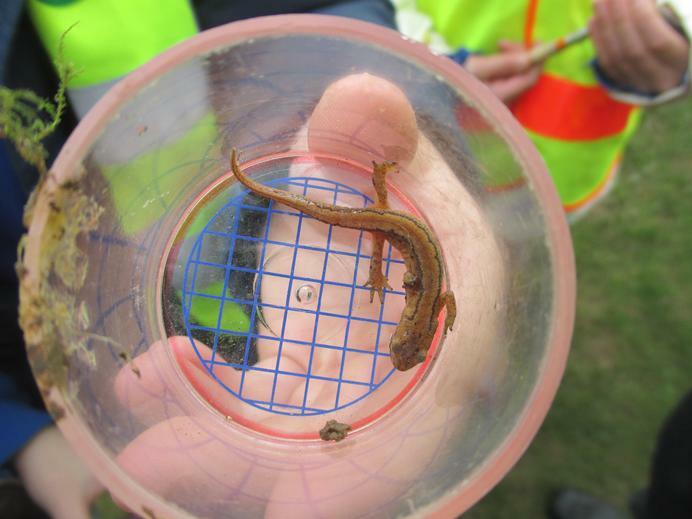 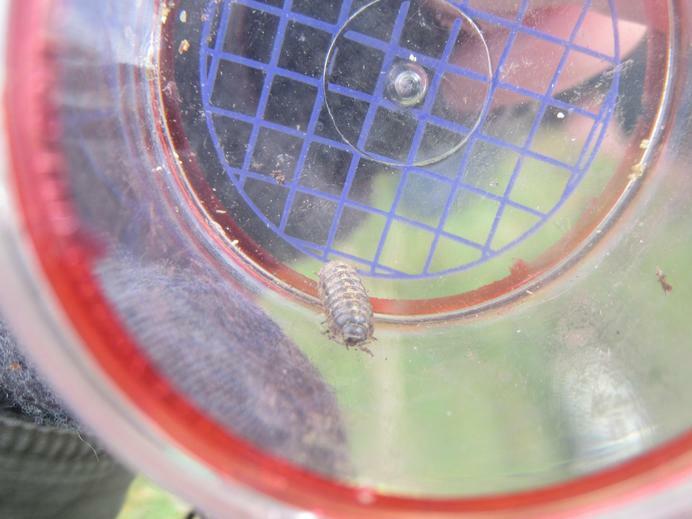 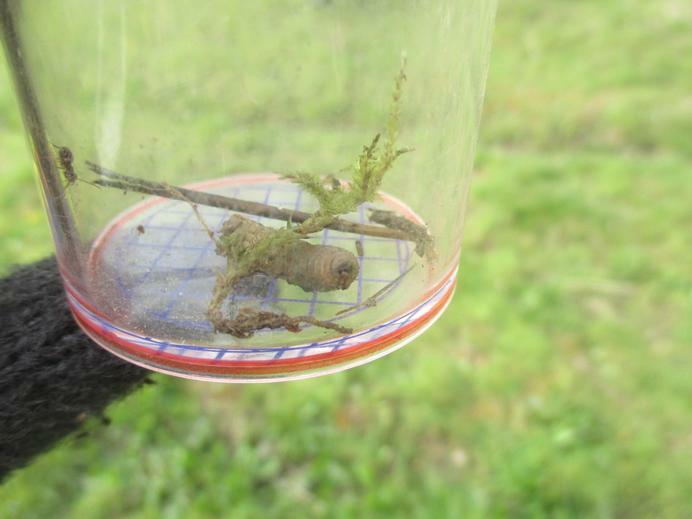 We found many an ant, as well as a woodlouse, and even a newt! 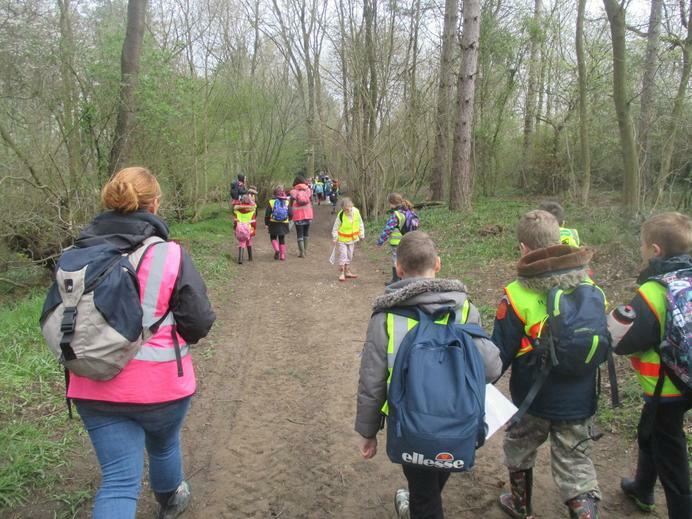 In the afternoon, we learnt about compass directions and followed a set of instructions using these to eventually (after a VERY steep slope), find some delicious sweetie treasure! 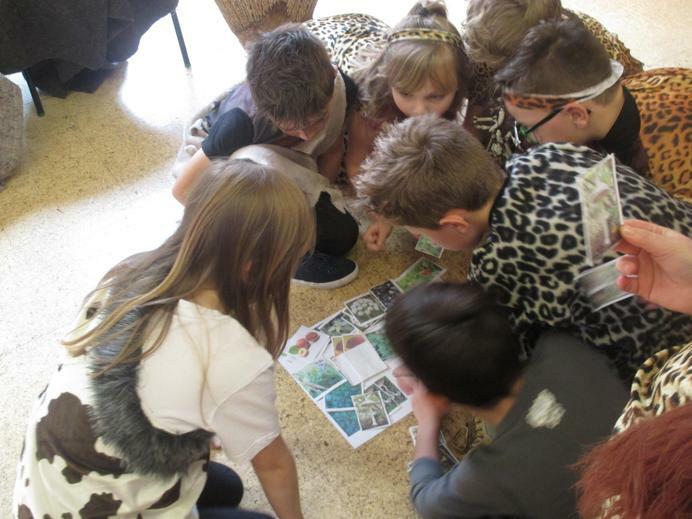 A lovely day back in nature was had by all, and we were even presented with a beautiful book as a gift from the Suffolk Wildlife Trust. 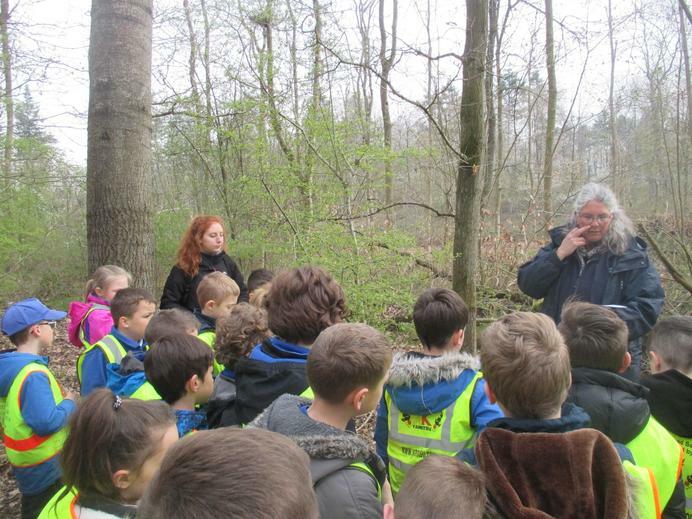 Thank you to all of the adults who supported our trip, and helped to make it possible. 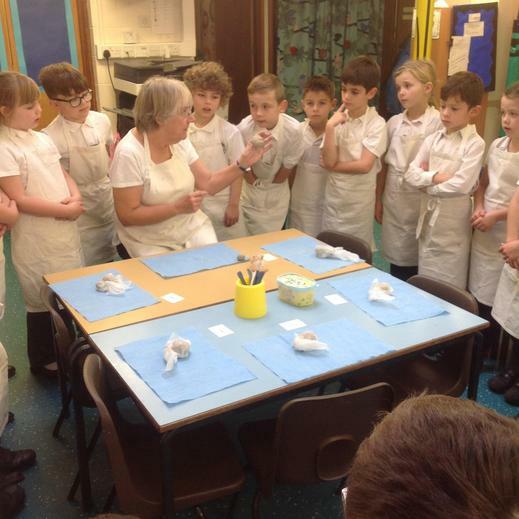 Year 3 enjoyed an afternoon of clay with local potter, Mrs Mallows. 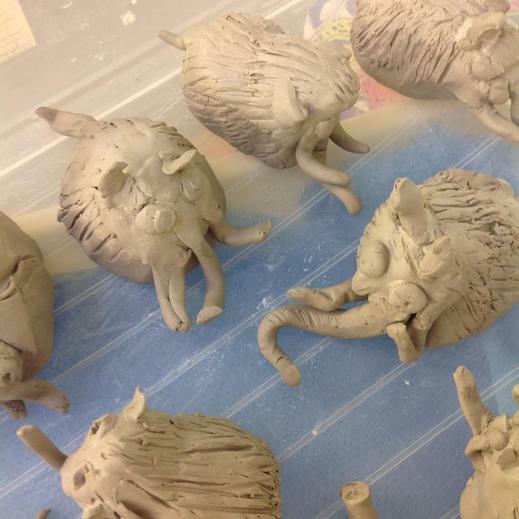 We learnt how to create thumb pots, which then transformed into the head and body of a mammoth! 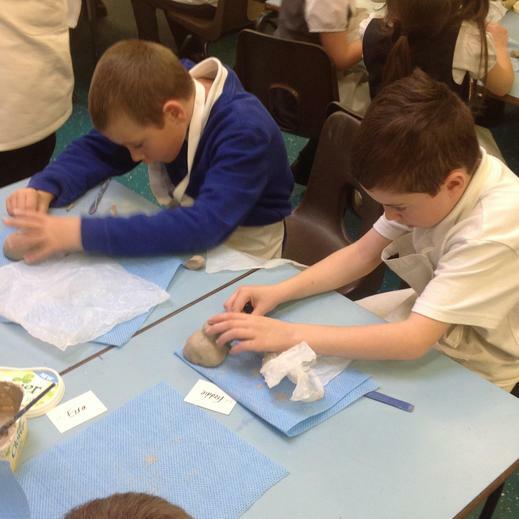 We learnt a variety of techniques to smooth the clay, and use slip to get two pieces to stick together. 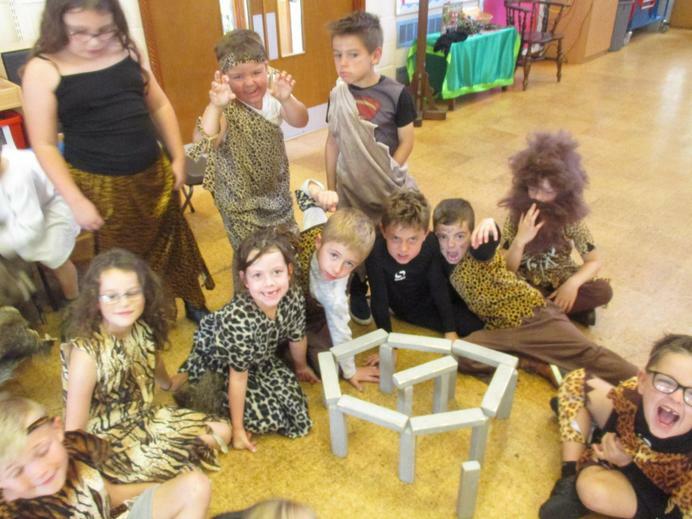 The mammoth was quite a tricky challenge, but with hard work and perseverance, we saw some fantastic results. 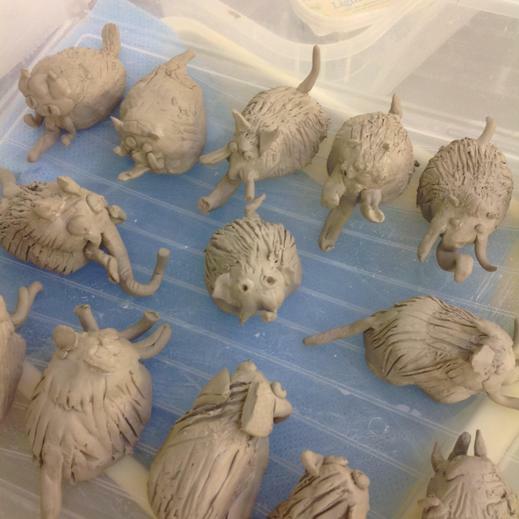 We are excited to get them back from the kiln very soon. 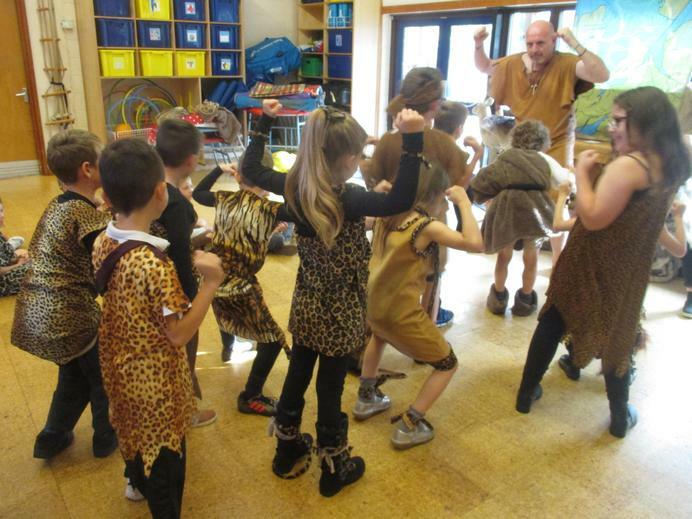 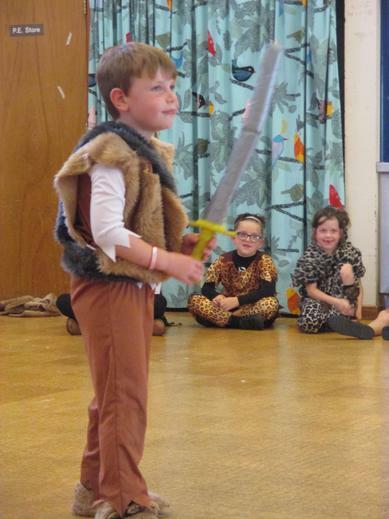 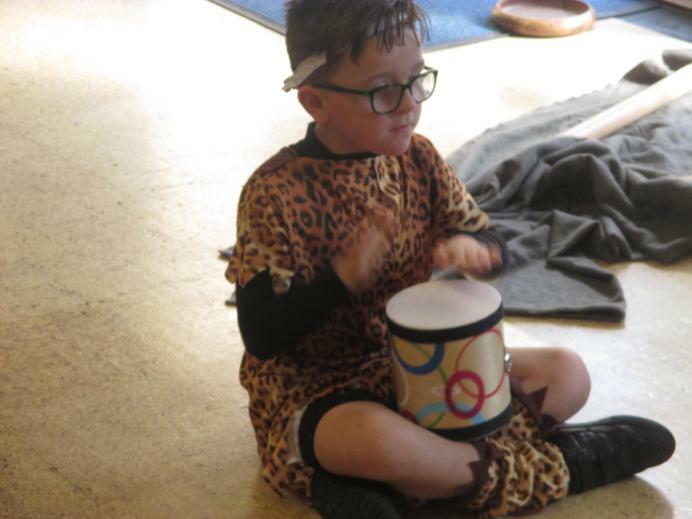 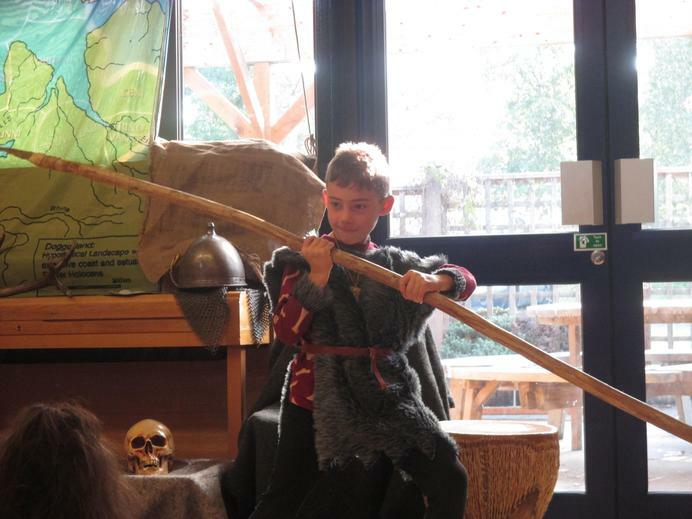 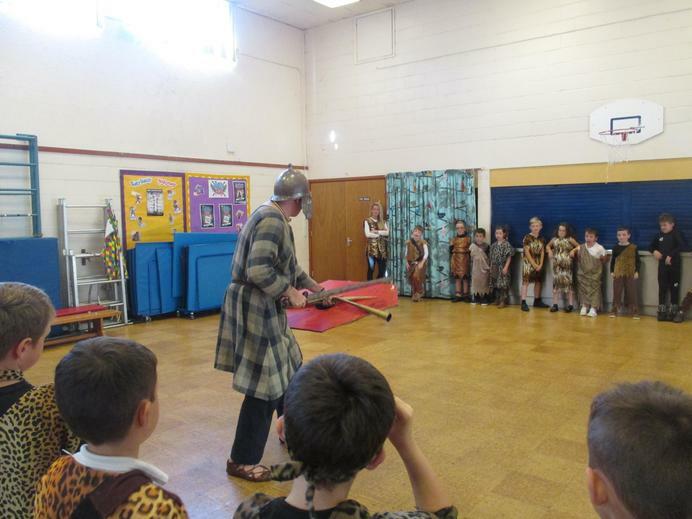 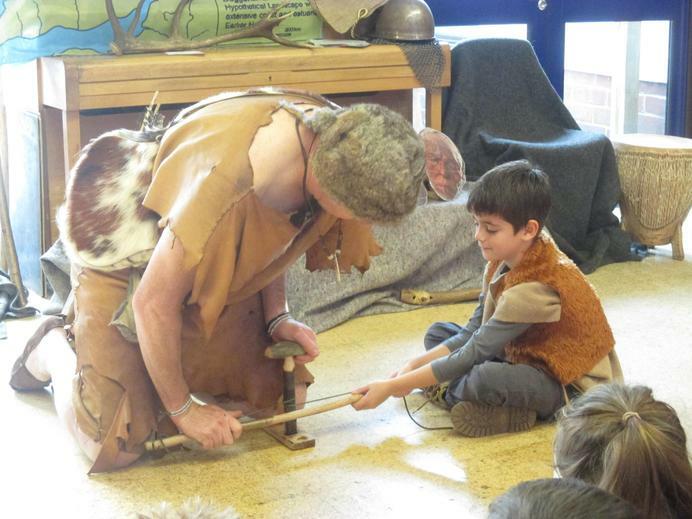 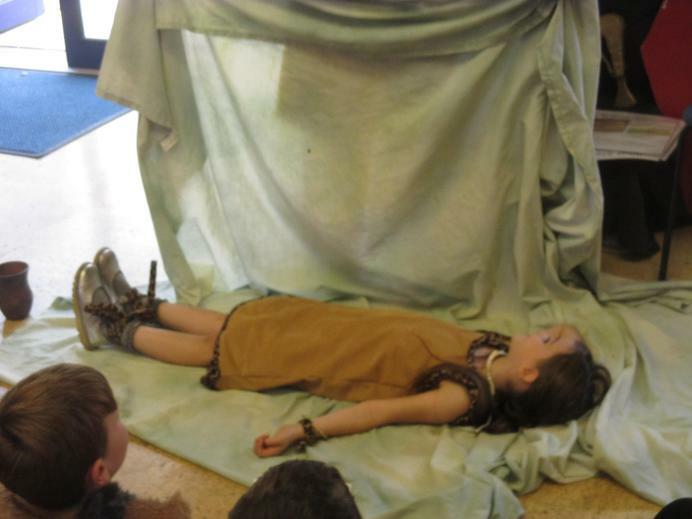 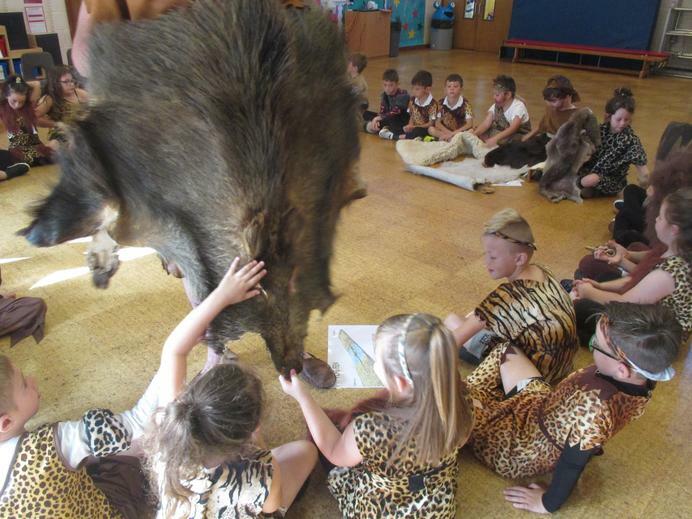 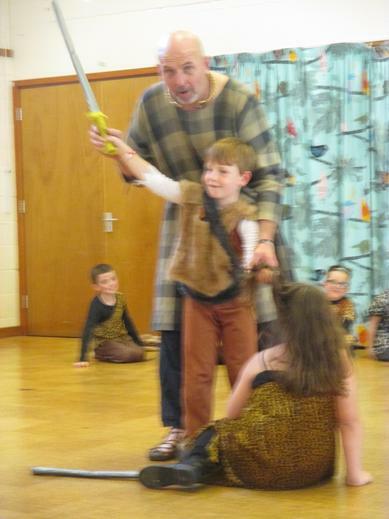 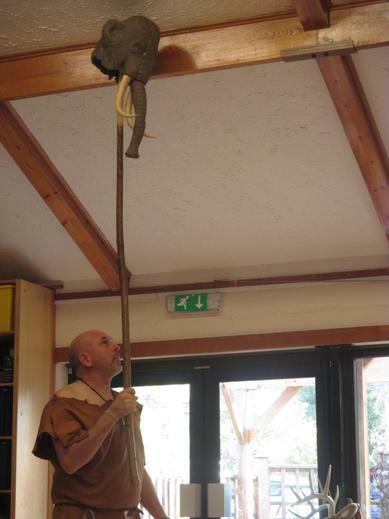 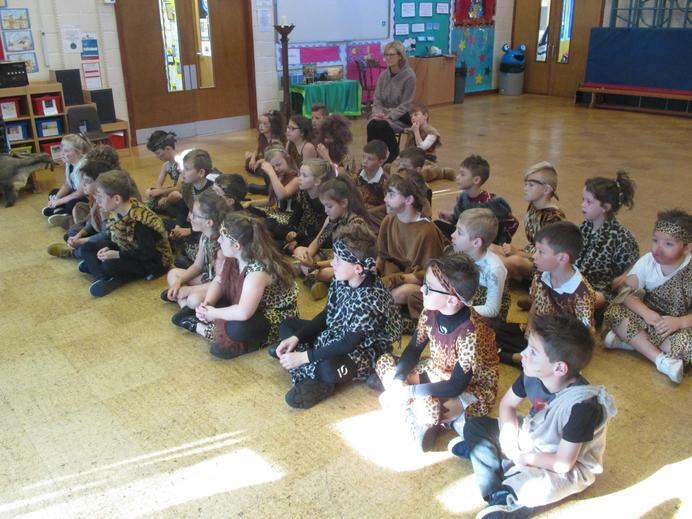 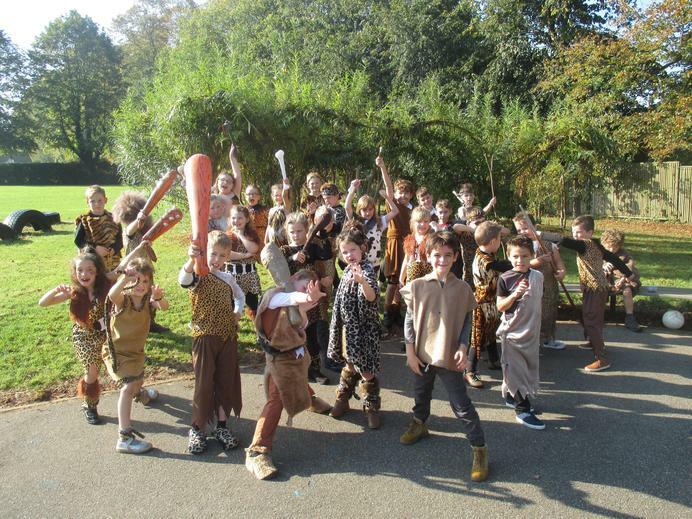 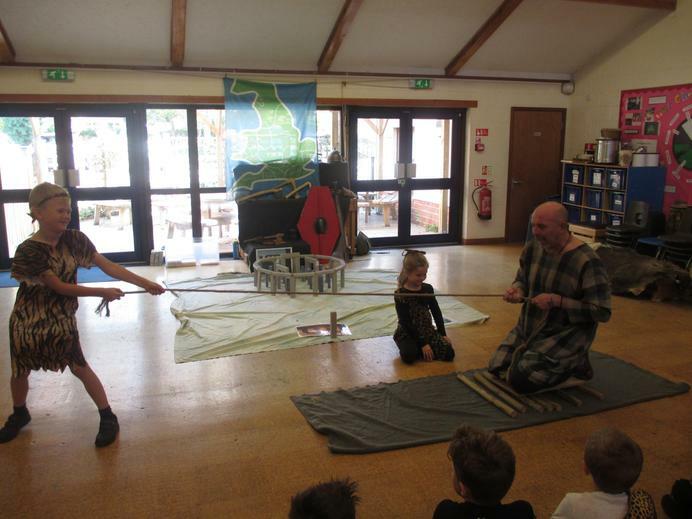 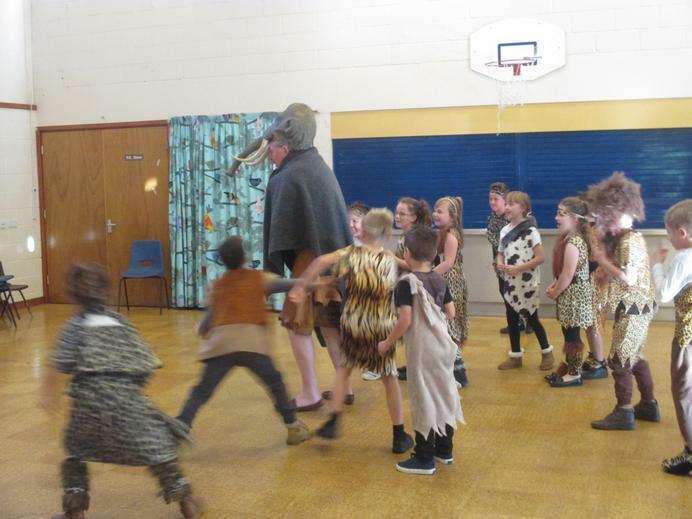 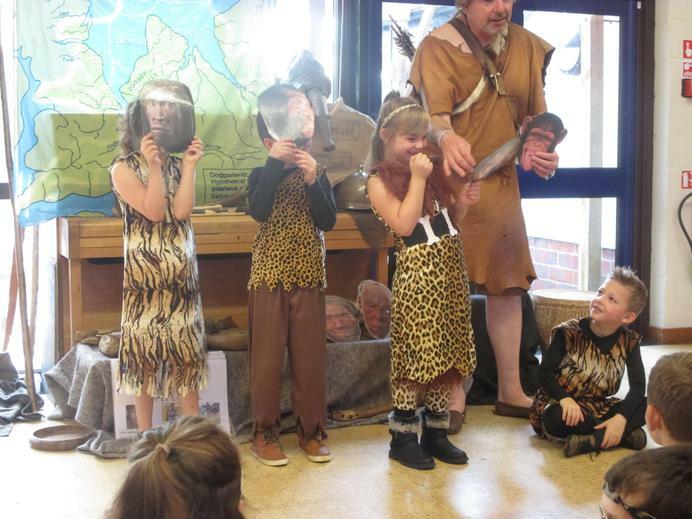 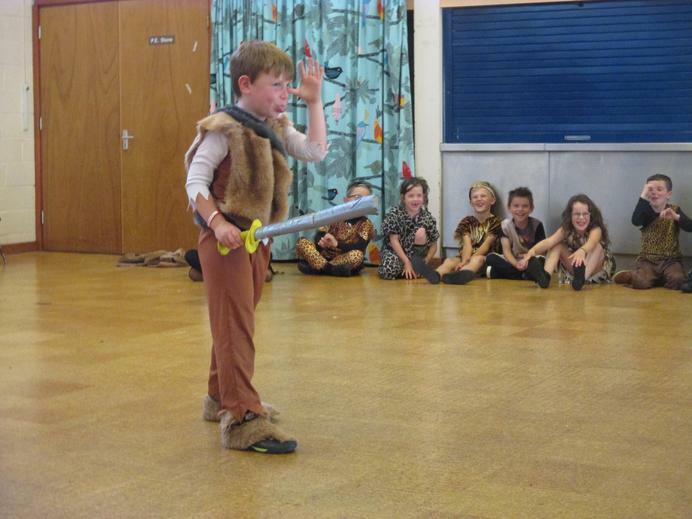 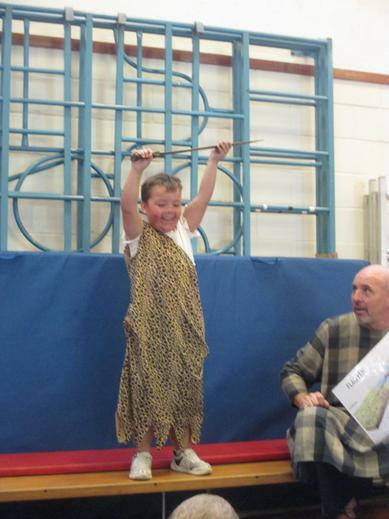 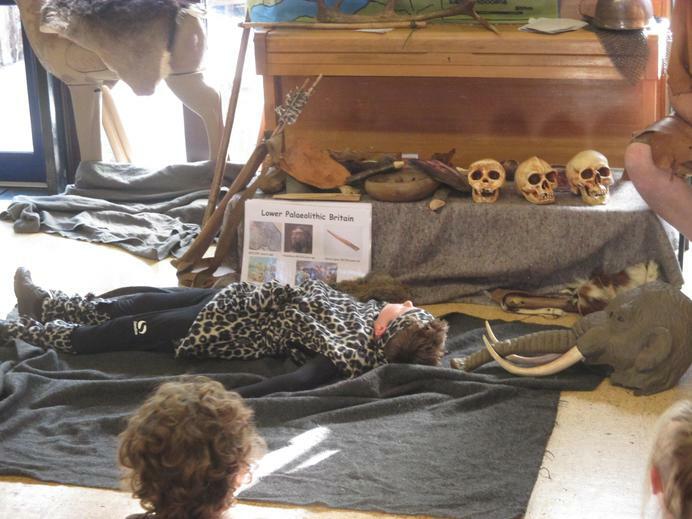 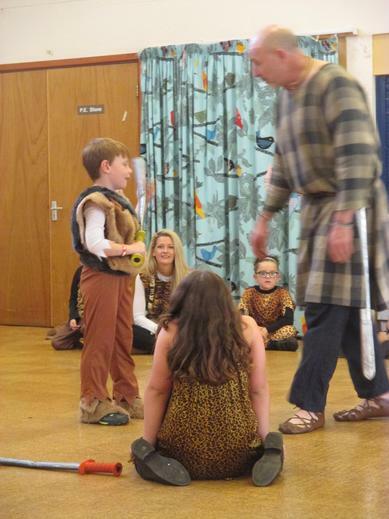 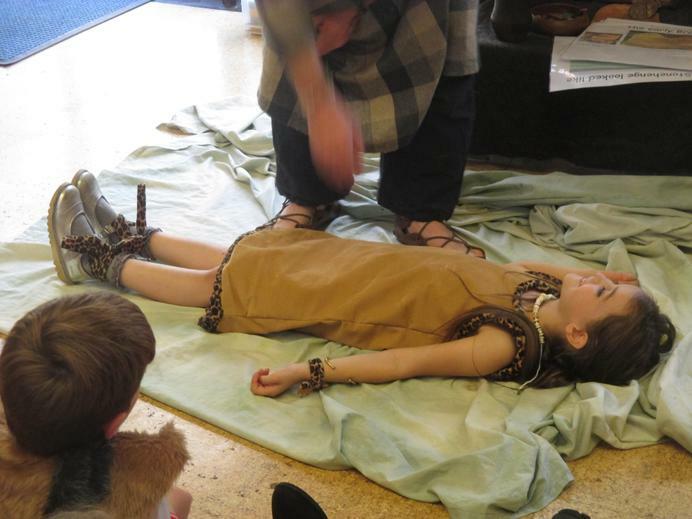 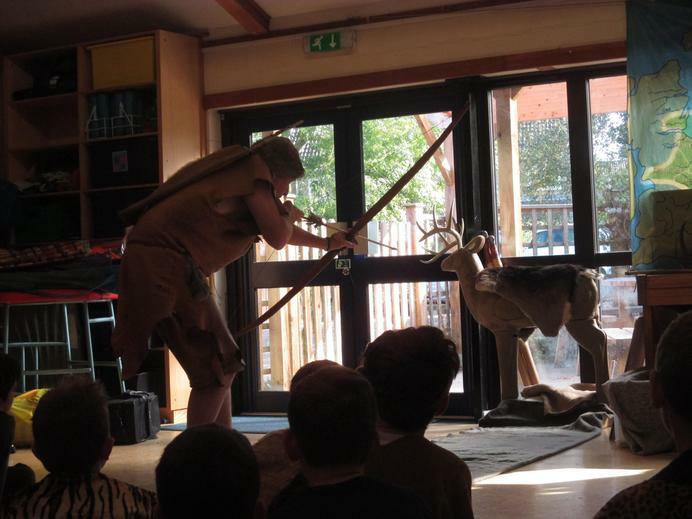 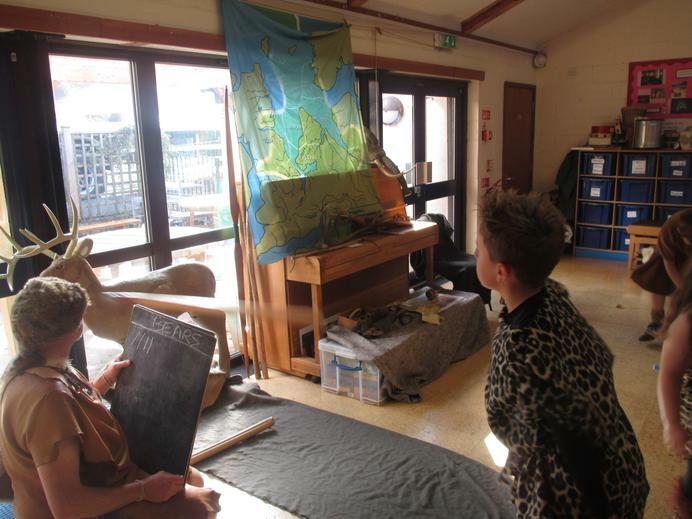 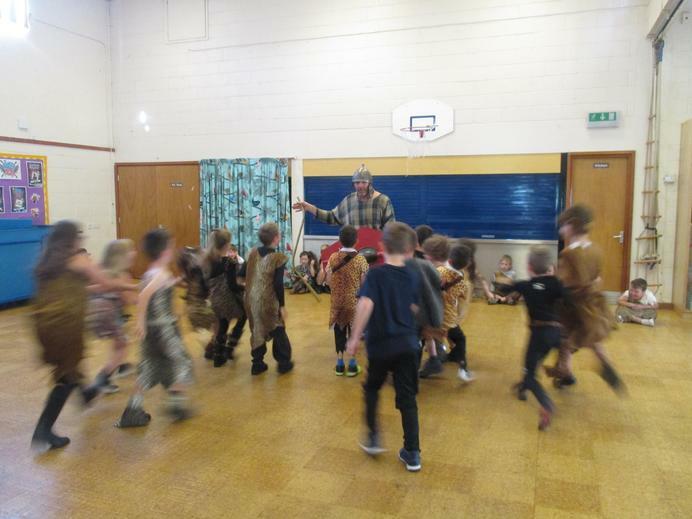 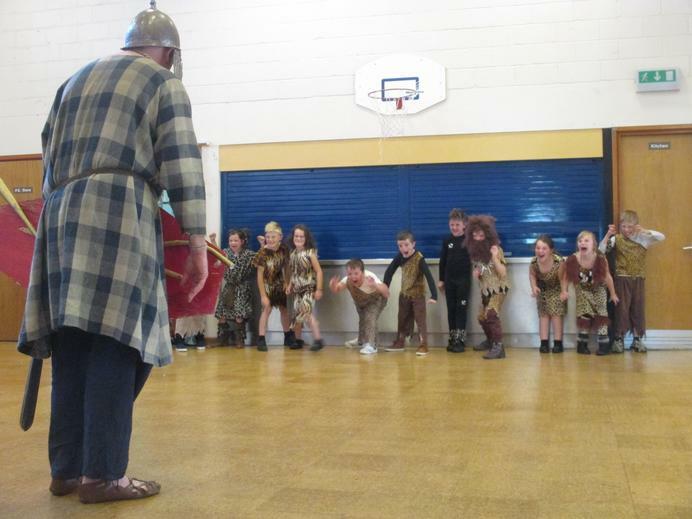 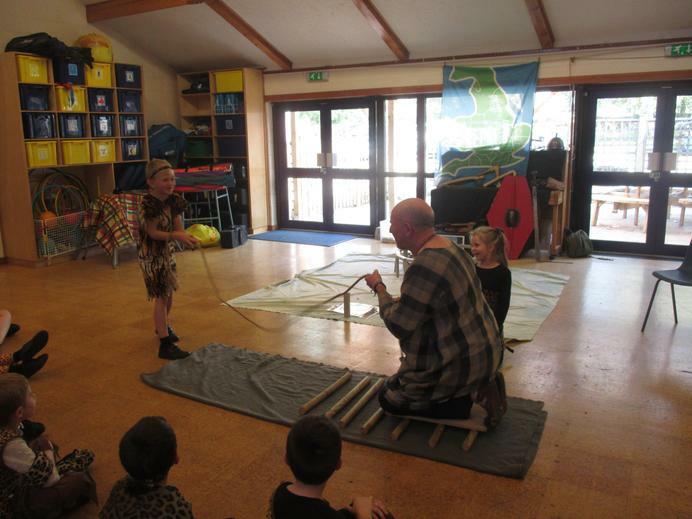 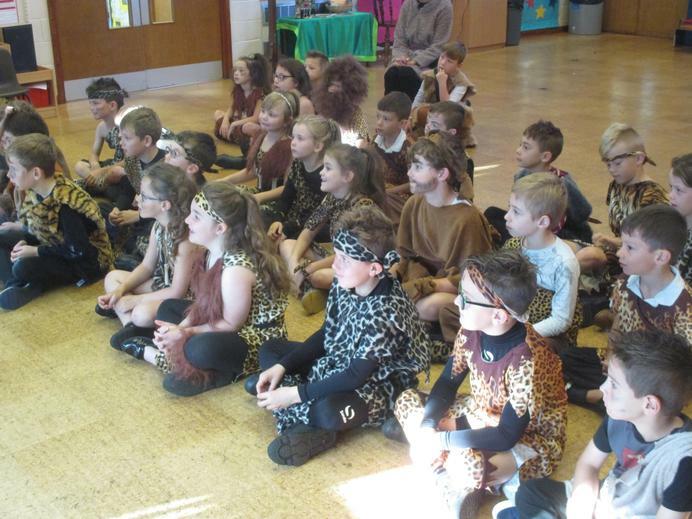 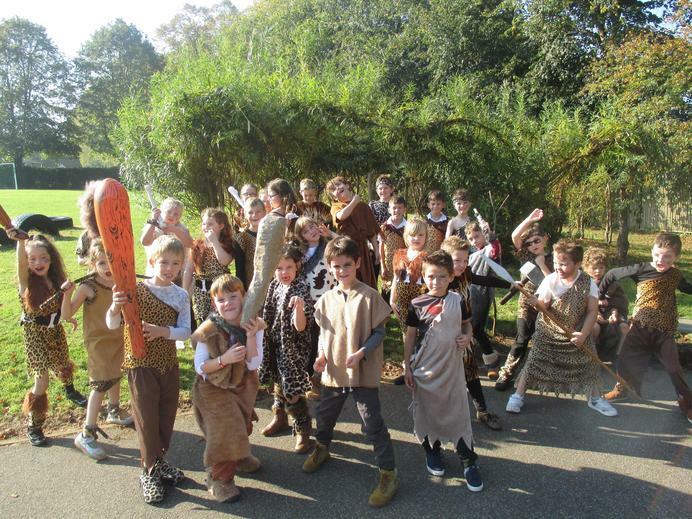 On October 10th, Year 3 were delighted to be joined by Portals to the Past for an exciting day learning about the Stone Age. 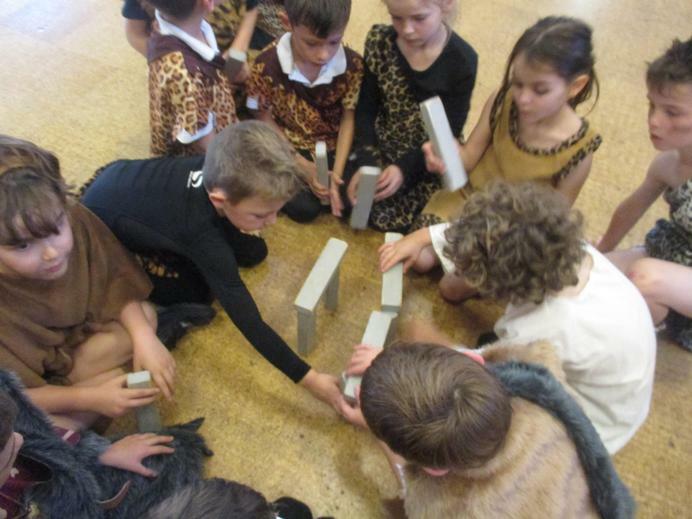 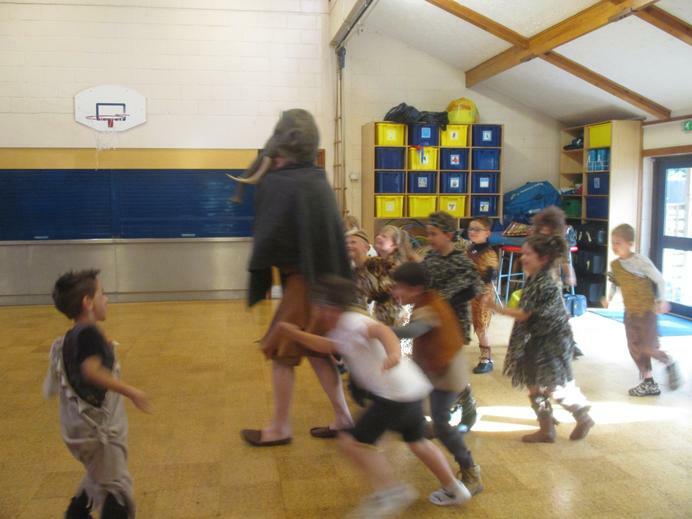 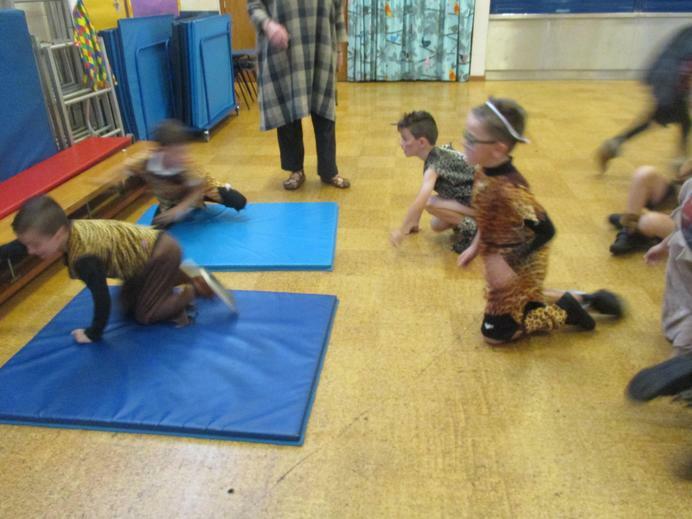 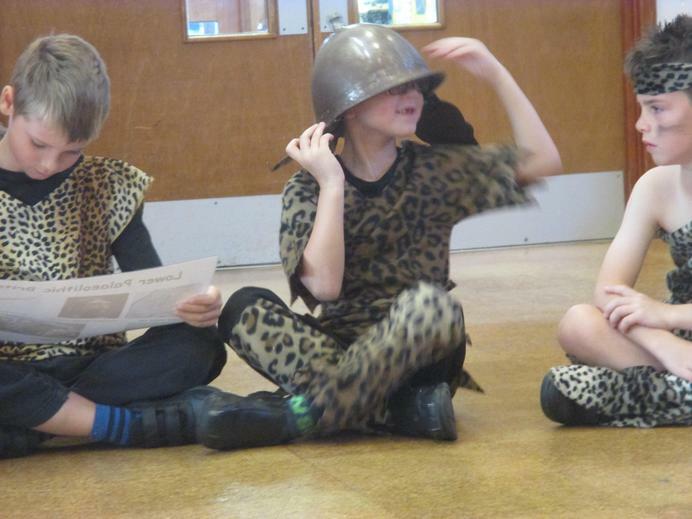 We came to school all dressed up in our Stone Age outfits and partook in a variety of activities over the course of the day. 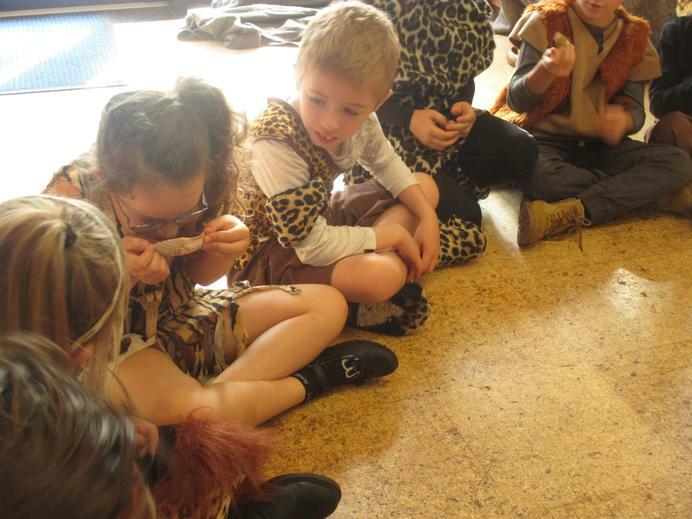 We began by learning about the evolution of man; before learning how to hunt and gather. 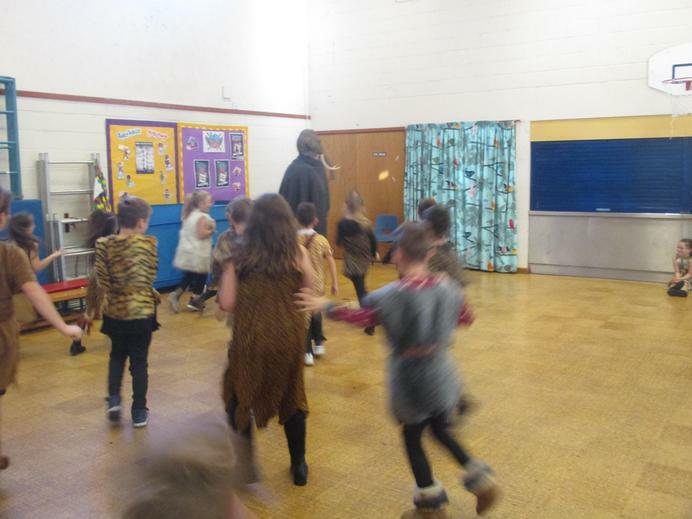 This involved throwing 'spears' at a 'deer', and gathering the non poisonous fruits and berries. 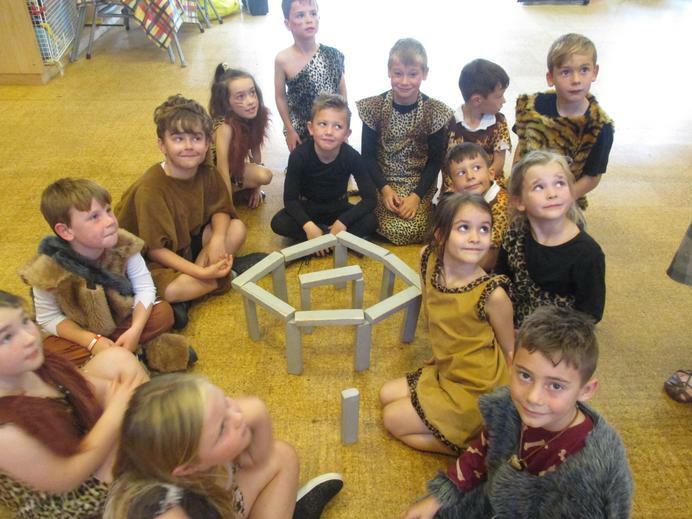 Later, we built Stonehenge using blocks, climbed through a tunnel to mine for bronze, and had a battle against another tribe! 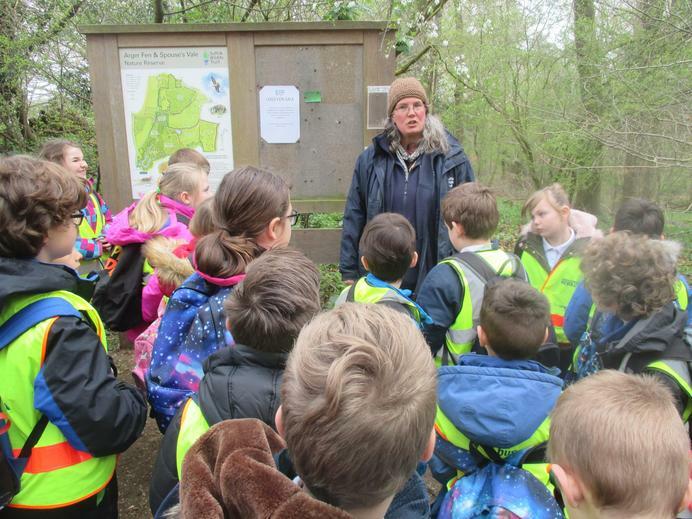 An informative, and exciting day all round! 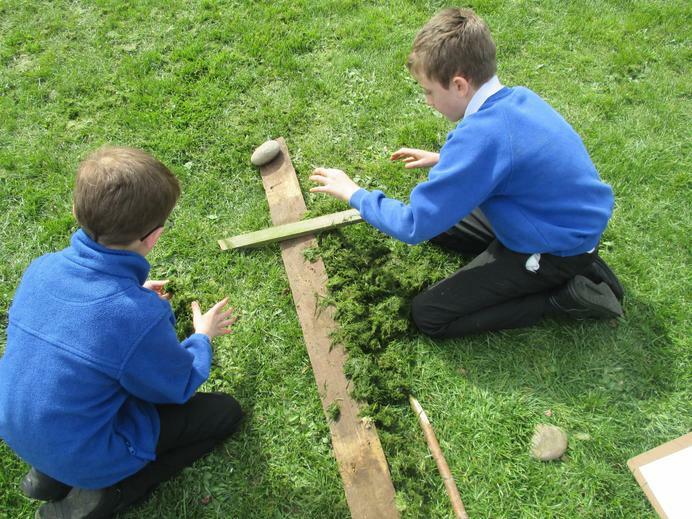 Written Calculation Methods Check out this website to find out which methods of written calculation we are using.